We were very excited when we heard the great news about the birth of a baby gorilla at Melbourne Zoo! A beautiful, healthy baby was born to mum Kimya, in the presence of the baby’s father Otana and the three older females in the group, Julia, G-Ann, and Yuska. 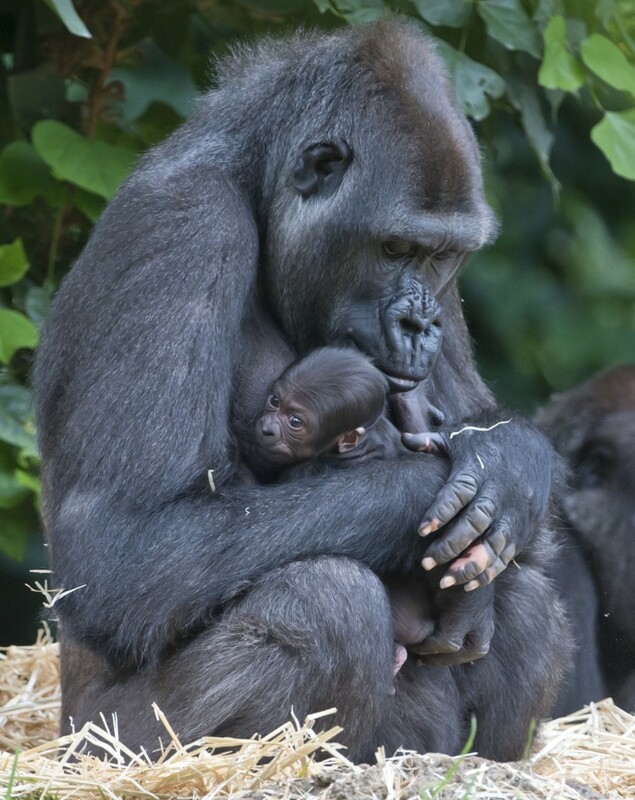 The special arrival is the first gorilla birth at Melbourne Zoo since 2000, thanks to the international endangered species breeding program which matched up two young gorillas born on the opposite sides of the world. Mum Kimya came to Melbourne Zoo from Taronga Zoo in Sydney, while we were very proud to transport father Otana to Melbourne Zoo from Howlett’s Wild Animal Park in Kent, England in 2013. Primate Department Manager Harna Burton says ‘We had high expectations of Kimya because she was mother-raised at Taronga Zoo and had some great experience watching older females raise their babies. ‘She seems to have learned from observing those behaviours, as she has been a textbook Mum so far. ‘From the time Kimya picked the baby up right after giving birth, she hasn’t put the little one down. Such young gorilla babies need the body heat of their mothers to stay warm, so we have been monitoring this very carefully,’ Harna explains. The new arrival coincides with Zoo’s Victoria’s ‘They’re Calling On You’ campaign to protect gorillas on the brink of extinction. Money raised from donated phones will support Gorilla Doctors, an organisation working to protect Eastern Lowland (Grauer’s) and Mountain Gorillas. Donated phones will be refurbished and resold or recycled for their parts. This gives the phones a second life and reduces the demands for coltan mining in threatened gorilla habitat. And for those excited to see the gorgeous new arrival, all Zoo visitors are now welcome to visit, initially at the restricted time of 11am to 3pm. Keepers will be monitoring the new mother and baby carefully to determine when the visiting hours can be extended from the 11am to 3pm period.